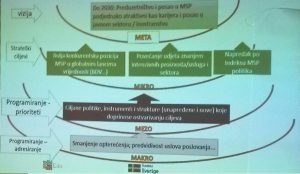 Forth workshop on developing a standardised methodology for strategic planning of SME development, held in Andricgrad 23-25 of May, was focused on tools for creation of strategic orientation and programming. SME policy makers as an inter-institutional working group created and tested an innovative application of Systemic Competitiveness framework not only as a tool to synthetize key findings of previously done analyses but also to shape strategic goals and supporting programs and priority policies. By applying that innovation future SME related strategies should be more realistic and coherent than before. 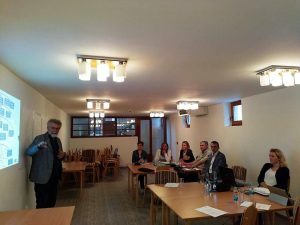 These innovations will be drafted as a part of new methodology till the next workshop scheduled for June 19 and 20 in Bihac. 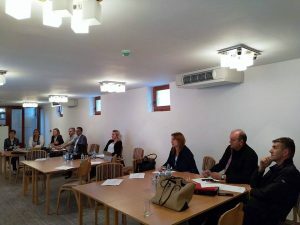 The workshop was organized within the project “European Small Business Act as a framework of SME strategies and policies in BiH – SBA in BiH”, funded by Sida through the Embassy of Sweden in Bosnia and Herzegovina.